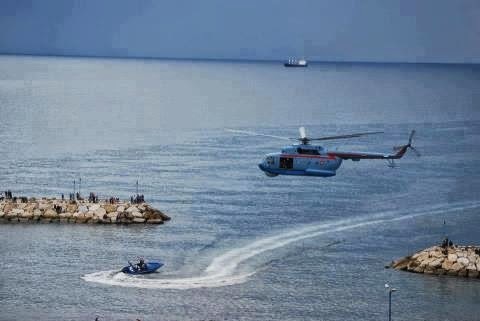 Syrian Navy Mi-14PS looks to be performing a 'show' near the corniche of Tartous city. 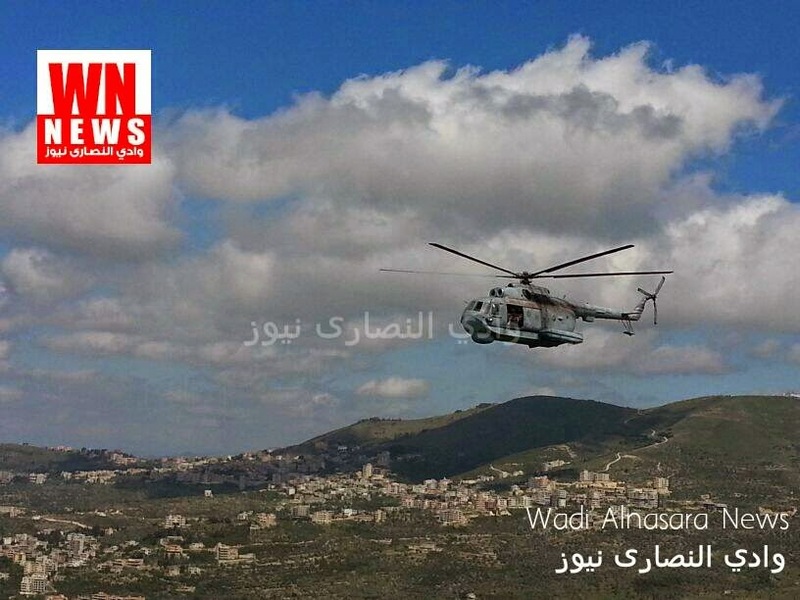 Another shot for a Mi-14PS in Hmemim airbase (Lattakia IAP). 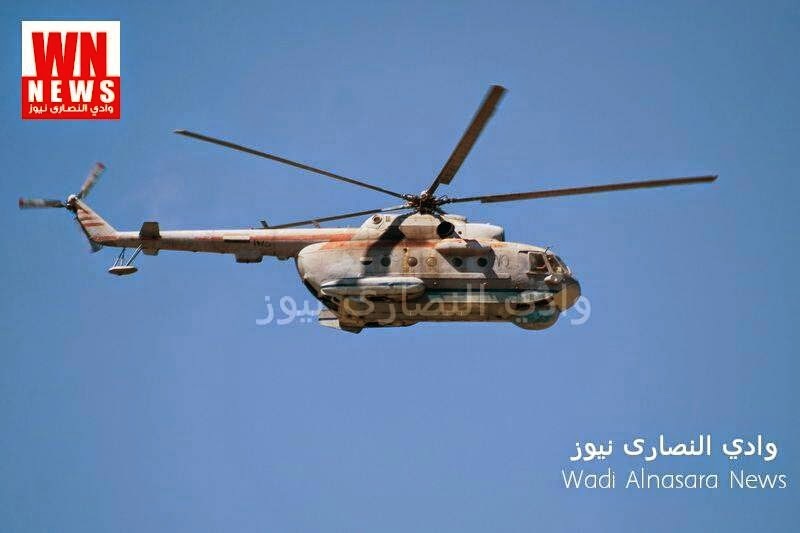 Mi-14PS carrying the serial 1475 flying over Qal'et Al-Hosn after regime forces conquered the area. This was photographed on 18th April 2014. Closer shot for the same Mi-14PS which was called here to video the Syrian flag formed by volunteers in the Citadel itself. 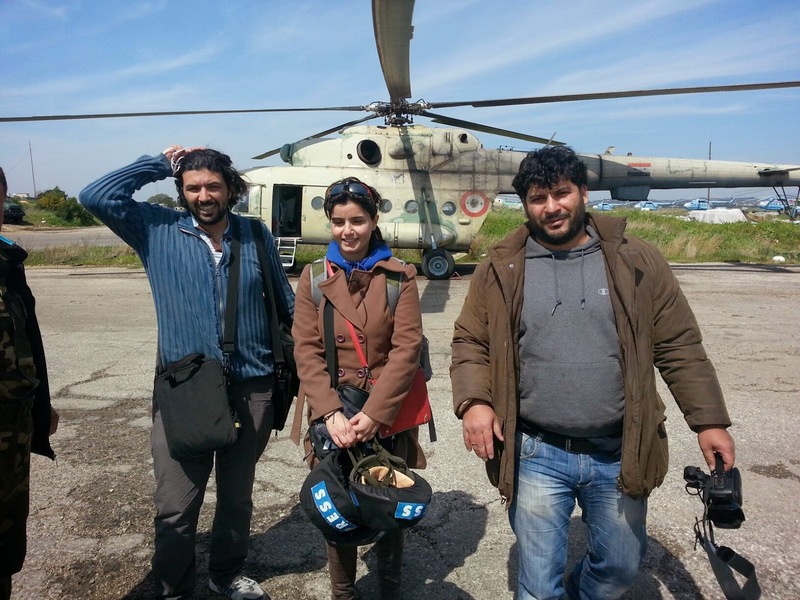 Again in Lattakia IAP, a press team was transported from/to this airbase to cover an event in Syria infront of a SyAAF Mi-17 with serial 37. Note behind the boom of a SyAAF Hind Mi-25 and the row of three Mi-14PL's and one Mi-14PS to the right. 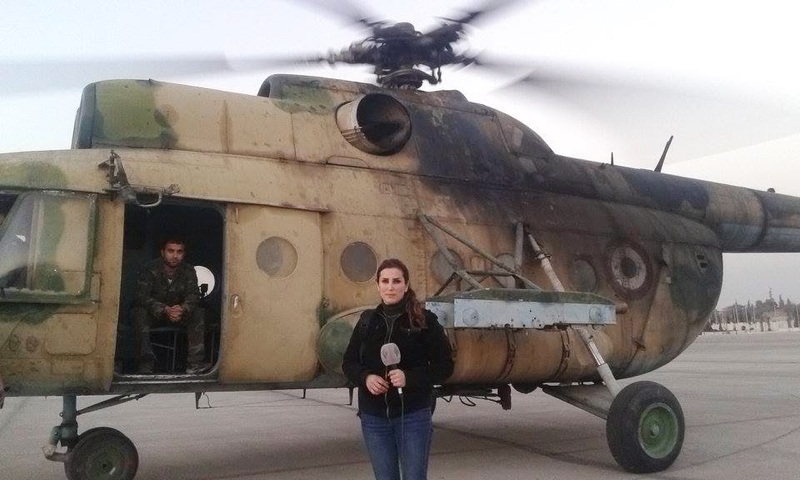 Another press reporter standing infront of a SyAAF Hip in Neyrab airbase (Aleppo IAP) on 2nd Feb. 2014. This Mi-8 carries the serial 260 as seen in another video for the same event. 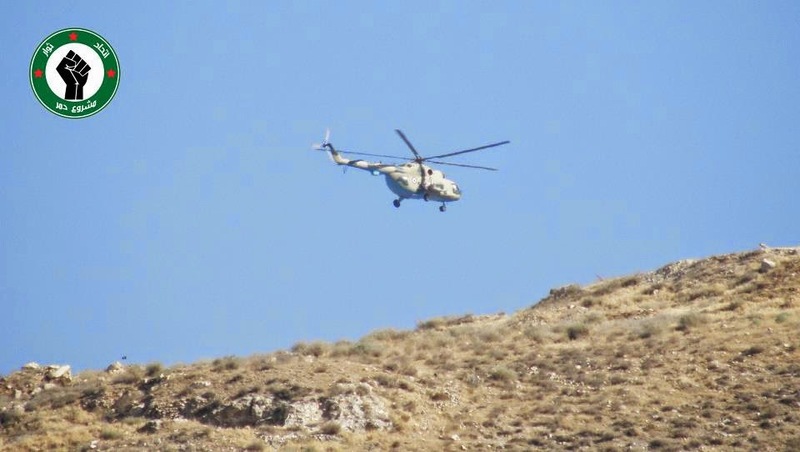 SyAAF Mi-17 was spotted flying nearby Dummar district in Damascus on 5th Sept. 2012. A photo for a SyAAF helicopter pilot was taken in an airbase (could be Taftanaz) with an armed Mi-17 and Mi-8 in background. 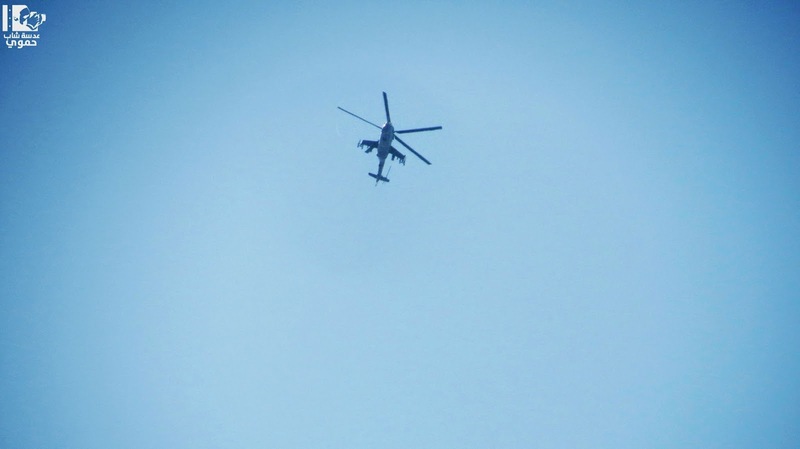 SyAAF Mi-25 spotted over Hama city on 2nd Mar. 2014 fitted with two FAB's. 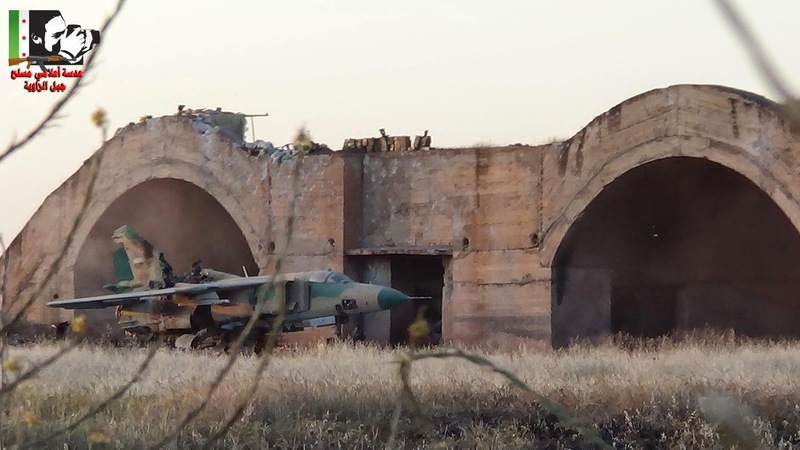 It is the first anniversary of the overrun of Abu DhHour AFB in Idleb governorate when rebels succeed on 30th April 2013 to pass into the Western side of the airfield for few days before the regime forces could push them back out. 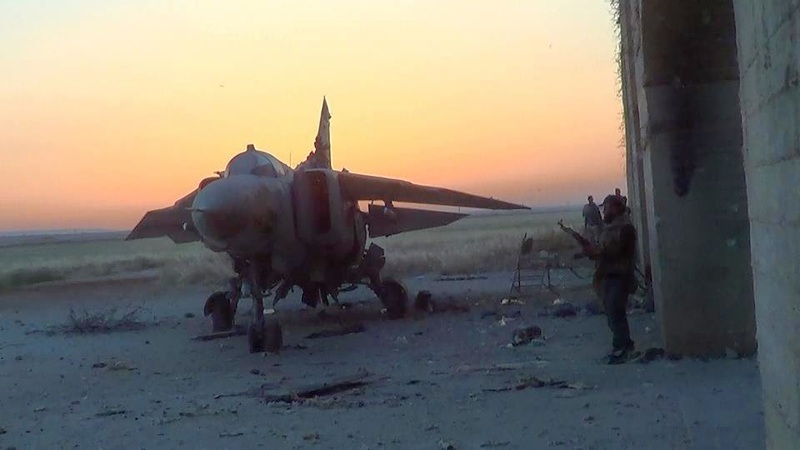 There was a MiG-23MS scrapped at the back of a double HAS in the south-western corner of the airbase, which was marked the first jet targeted by rebels by an ATGM at the beginning of the Syrian unrest. The already-phased-out MS was seriously damaged by that hit, which has been totally knocked out after few days of the invasion of this AFB. As seen in a footage of the video this still above was extracted from, this MiG-23MS with its famous locally Green painted radome, carries the insignia of 'The Factory' which means it was indigenously overhauled in Neyrab facility. The last shot of this MiG-23MS which carries the serial 1605. 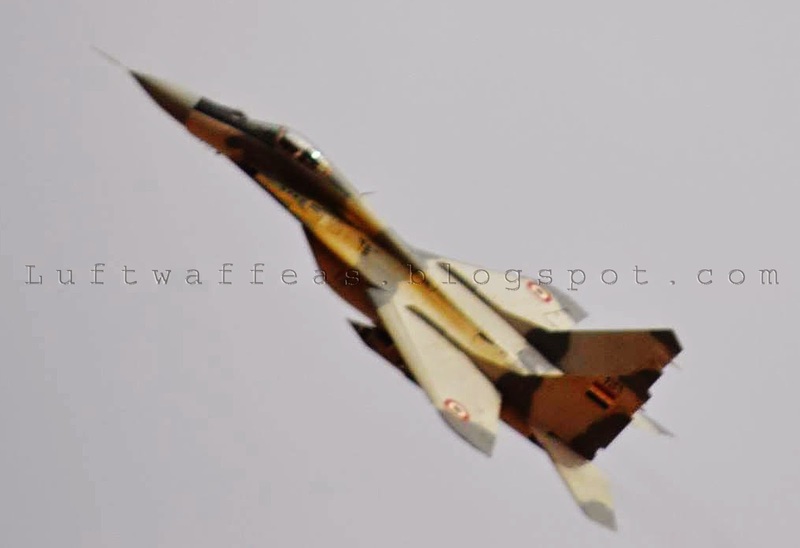 In addition to the phased-out MiG-23MS, Abu DhHour AFB until 2011 was the home base of MiG-23UB, MF in addition to squadrons of MiG-21MF and bis. The photo above shows the bone-yard of seven MiG-23MS/UB. Another survey I prepared for the air raids/transport sorties SyAAF is carrying out with its fleet of Helicopters in a trial to estimate the 'remaining' operational units at least in the northern/western areas of clashes, specifically those are starting from Hama (Hama governorate), Sh'eirat (Homs governorate), Abu Ddhour (Idleb governorate) and Hmemim (Lattakia governorate). As stipulated above, we can notice that contrary to expectations, Abu Ddhour AFB is 'very' alive and as active as Hama AFB in terms of number of daily sorties. Hmemim airfield was kinda conservative in number of daily sorties from the beginning of January until the first half of March, while the second half of March till today (as we will see in the updated survey) it becomes one of the main bases for Helicopters to start from. So, if we consider that each helicopter took off twice a day we may reach a conclusion that there are at least 21 operational/air-worthy Mi-8/17/14/25 in these four airbases. In a trial to understand the current inventory of aircraft the SyAAF is currently operating, I worked to survey and available records of attack sorties the SyAAF 'Jet' units are performing. Fortunately, I found trustful entries -from a group specialized in observation of air sorties- for Hama AFB (Hama governorate) & Sh'eirat (Homs governorate) AFB, and accordingly prepared a log of the number of air raids started from both. 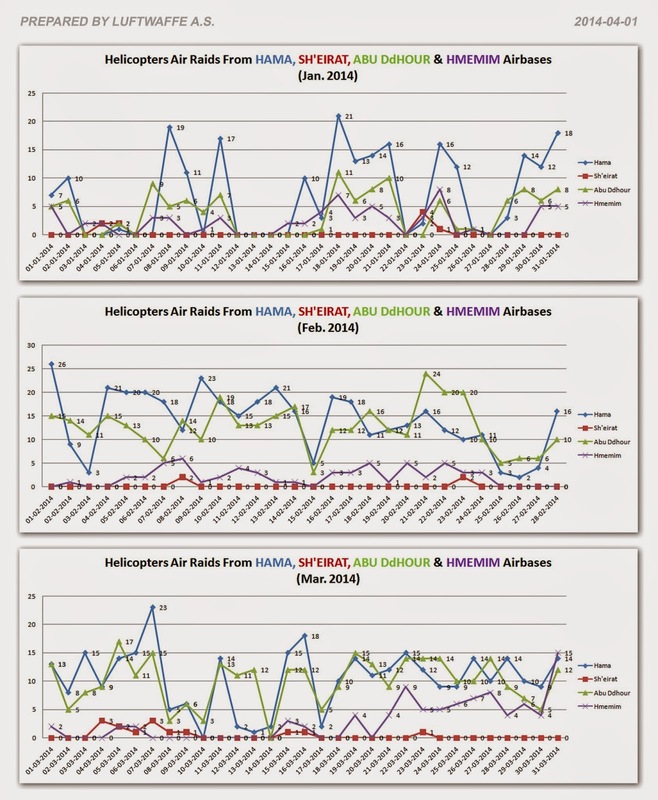 The charts above stipulate the daily air raids from both air bases in the first quarter of this year. We can notice that January witnessed the least sorties due to the bad weather in some days, while in February the more sorties been performed stably from both airports. 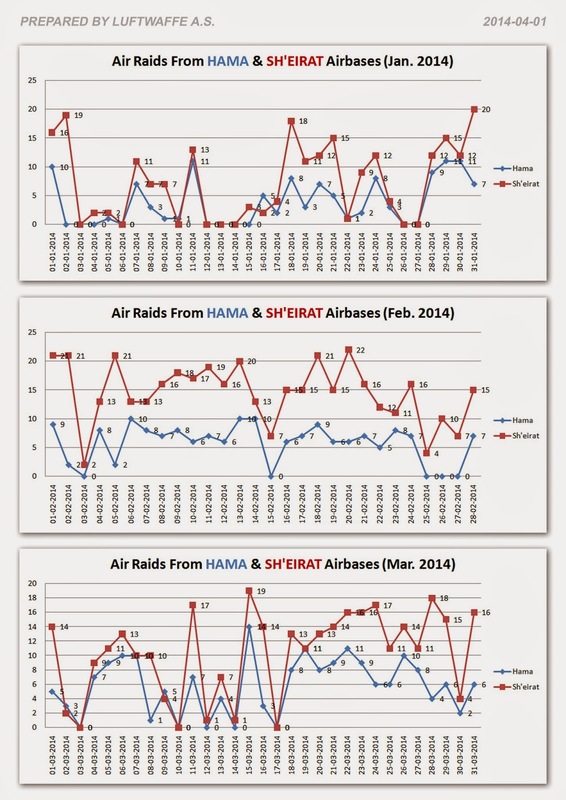 In March the rate was unstable in terms of continuity of the same number of aircraft started from both airbases especially from Sh'eirat. 22 is the maximum number of air raids conducted in a single day from Sh'eirat on 20th Feb. and 14 in a day from Hama on 15th Mar. 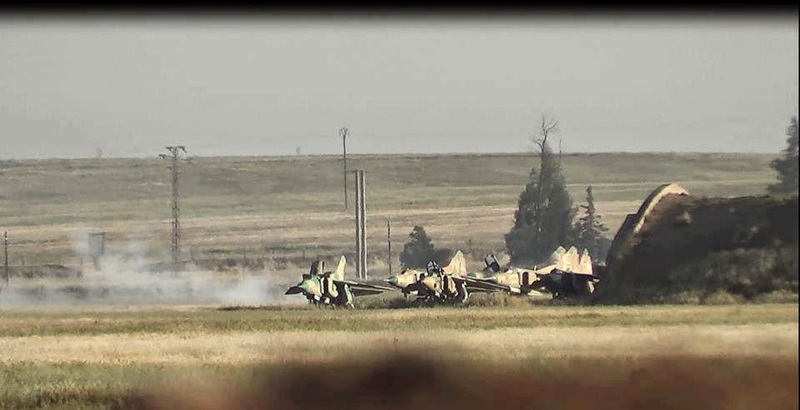 which drives us to a conclusion that at least there were 11 operational (Su-22M-3/4 / MiG-23BN) and 7 operational (MiG-21bis / MiG-23MF) in Sh'eirat and Hama AFB's respectively (this if we estimated that each aircraft scrambled twice a day). At last, I would remind that this survey is limited to Jet Fighters/Bombers and there are twice the number of raids carried out by helicopter starting from these both air bases. 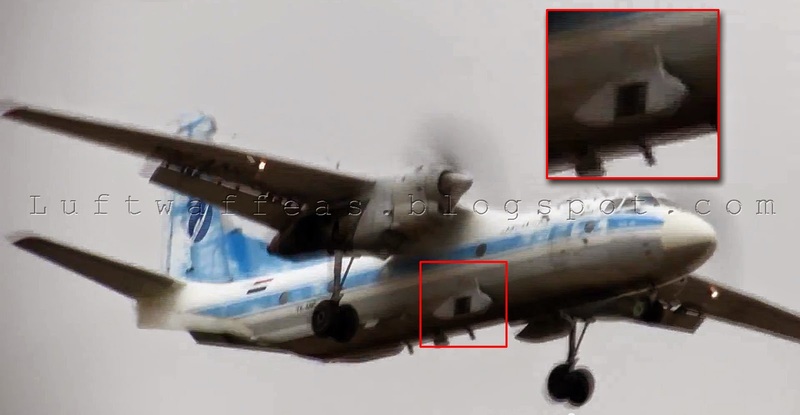 Today, a video is published for a Syrian Air An-26 carrying the serial YK-ANC about to land in Hama AFB. The strange thing I noticed in this transporter is the two pods -as mentioned above- suspending from the fuselage. 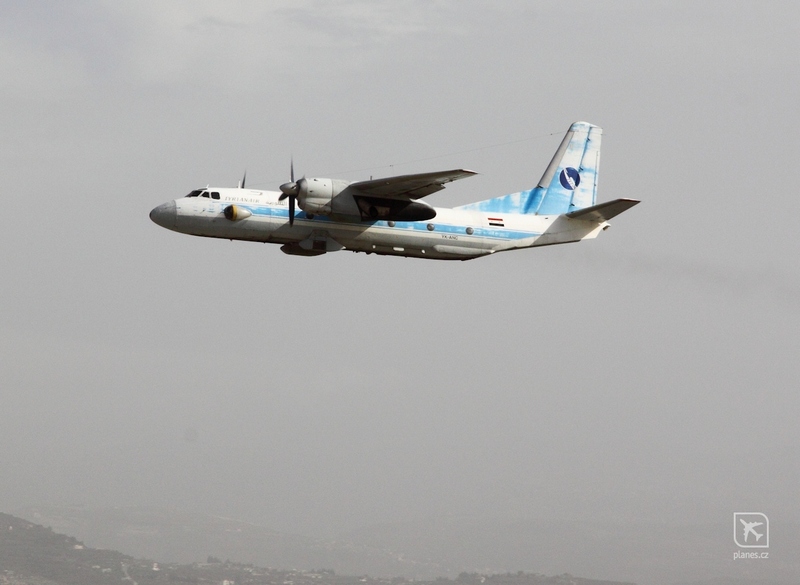 This is not the first time to see these pods fitted to the Syrian An-26's, during the 'Live Fire Maneuvers' a photo for this aircraft showed the same pods, also, a very clear shot for the same YK-ANC was flying over Lattakia clearly showing them as well. I spent an hour 'googling' trying to identify this pod but failed, are they camera pods for recon? weather surveillance equipment? any idea? 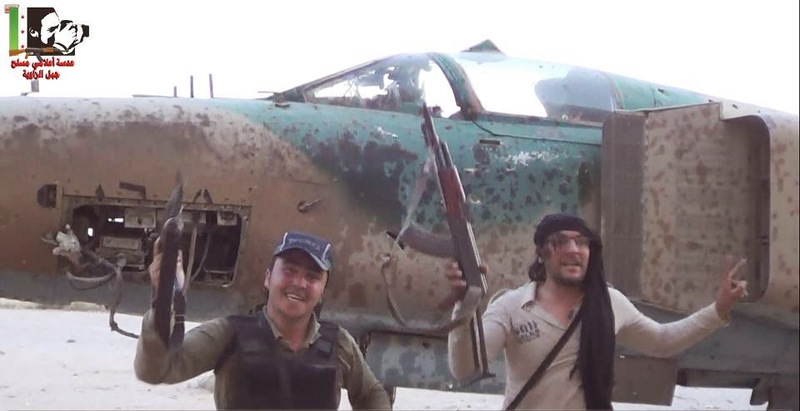 Let's say that March 2014 would be a turning point for the SyAAF in terms of appearance and utilization of its units in the current uprising! We saw the first appearance of the MiG-25's over the eastern county of Hama, also the intensive use of MiG-29's over the northern county of Damascus, and to the eastern side of Seen AFB. Spotting Fulcrum's over Rhaibeh (just 15km to the north of Dhmair AFB and 25km to the southern west of Nasriyeh AFB) gives some kind of impression that the bomber fleet is over-tired (Su-22M & MiG-23BN). 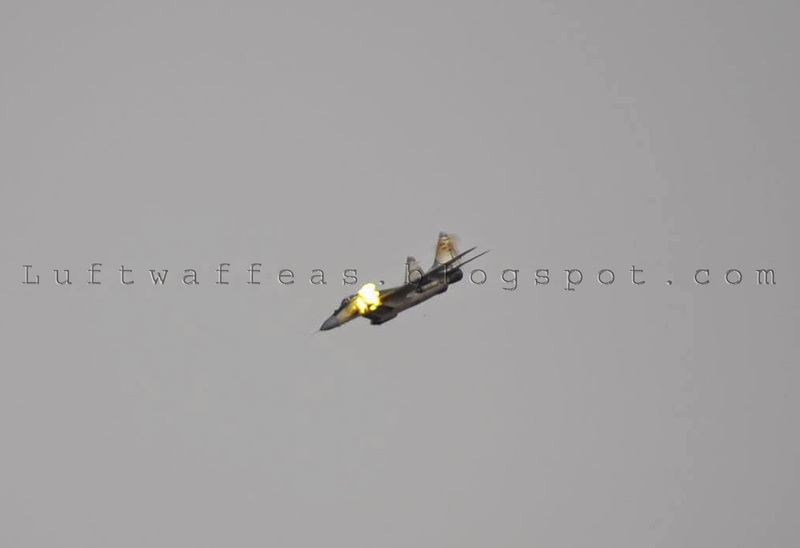 Above is one of the MiG-29's those attacked seven times Rhaibeh town on 24th March 2014 (boringly fitted with B-8 pods) !! The serial is unclear but might be read 3436 or 3439. Another shot for the same MiG-29 opening its gun fire which we saw in the famous video when this attacked the cameraman (below). Some videos I collected showing this fighter carrying out ground attack sorties in the area to the east of Seen AFB which is known as Al-Tanf, that when FSyA attacked the 559 tank brigade on 20th March. List of spotted 'Aircraft and Aerial Vehicles' over Syria during the month March 2014.